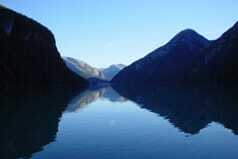 The Northwest region of the Royal BC Museum's Living Landscapes program encompasses the spectacular and rugged mountains and coast extending from Queen Charlotte Sound and Haida Gwaii (Queen Charlotte Islands) in the south and west to the Yukon border between the Alaska boundary and the Cassiar Mountains. A range of research projects providing a brief glimpse into some of the diverse human and natural history of the region has been compiled under the general themes of Natural History and Human History. This has been made possible through the generous support of, Western Economic Diversification Canada, and our regional program partners. One of the most exciting outcomes of the Living Landscapes programme is the catalytic effect that it had on regional participants which include a broad cross-section of people with different vocations, avocations and community affiliations. We continue to be interested in hearing about research and educational initiatives that reflect local perspectives on the human and natural history of the Northwest region. 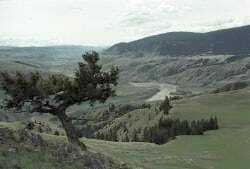 The Royal British Columbia Museum is currently focusing on the fourth phase of its province-wide Living Landscapes program in the Peace River - Northern Rockies region. Working in cooperation with local research partners and the assistance of a Regional Advisory Panel, we look forward to exploring a wide range of topics over a three-year period, from January 2003 through December 2005. Peace River near Farrell Creek, 2002. Our primary vision for this initiative, developed through a regional workshop, is to: provide a learning window on the northeast; raise awareness of its human and natural diversity and emphasize the importance of our northern heritage to the province as a whole; and to foster local pride and appreciation, particularly among the young. 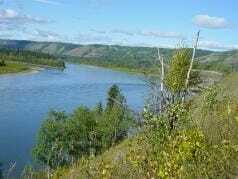 The Peace River - Northern Rockies region encompasses the vast area of the northeast extending from the Yukon and Alberta borders to the eastern slopes of the Rocky Mountains in the south, and Cassiar Mountains in the north. Overviews for research projects underway can be found under the general headings of Natural History and Human History. When projects are completed, summary reports will be added to this site. 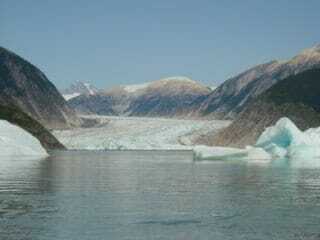 Zoo Valley, Muskwa Ranges, 1996. One of the most exciting outcomes of the Living Landscapes program is the catalytic effect that it had on regional participants which include a broad cross-section of people with different vocations, avocations and community affiliations. We extend our thanks and appreciation to the our regional supporters throughout the Peace River-Northern Rockies; and we continue to be interested in hearing about research and educational initiatives that reflect local perspectives on the human and natural history of the Peace River-Northern Rockies region. 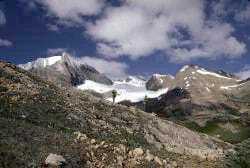 The Royal British Columbia Museum turned the focus of its Living Landscapes program to the Upper Fraser Basin in 2000. 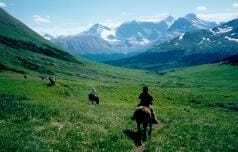 This region covers a vast area extending across most of south-central British Columbia including the Fraser River valley upstream from Big Bar Creek, as well as it is tributary drainages such as the Chilcotin, Quesnel, and Nechako Rivers. 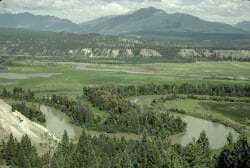 Junction of Fraser and Chilcotin Rivers,1998. Projects pertaining to this region have been compiled under the general themes of Natural History and Human History. Also, during the launch period, the Royal BC Museum worked in collaboration with local museums in 5 communities throughout the region to bring the Living Landscapes experience directly to school students and the general public through a series of Special Events. Above Moose Pass, Mount Robson Park, 1973. One of the most exciting outcomes of the Living Landscapes program is the catalytic effect that it had on regional participants which include a broad cross-section of people with different vocations, avocations and community affiliations. 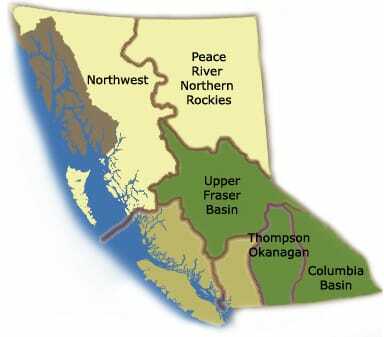 We extend our thanks and appreciation to the our regional supporters throughout the Upper Fraser Basin; and we continue to be interested in hearing about research and educational initiatives that reflect local perspectives on the human and natural history of the Upper Fraser Basin region. 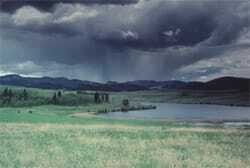 The Royal BC Museum launched its regional outreach program Living Landscapes in October 1994 with a focus on the Thompson - Okanagan region of south-central British Columbia. Titled, Living Landscapes...Thompson-Okanagan: Past, Present, & Future, the purpose of the initiative was to work with community organizations, educators, First Nations, naturalists, historical societies, museums and others in encourage the exploration of their local cultural and physical environments. Through this initiative the Royal BC Museum partnered with Okanagan University College to develop on-line public access to project results through the Internet. 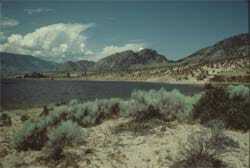 The initial Living Landscapes/Thompson-Okanagan regional website was launched in 1996 and was jointly maintained until April 2002. 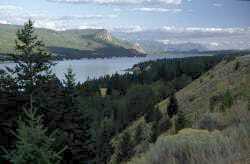 To maintain access to many of the original components of the earlier Thompson-Okanagan Living Landscapes regional website, they have been reformatted and presented here under the categories of Human History and Natural History. One of the most exciting outcomes of the Living Landscapes program is the catalytic effect that it had on regional participants which include a broad cross-section of people with different vocations, avocations and community affiliations. We extend our thanks and appreciation to the our regional supporters throughout the Thompson-Okanagan; and we continue to be interested in hearing about research and educational initiatives that reflect local perspectives on the human and natural history of the Thompson-Okanagan region.